Name all the animals at old Mac Donald’s farm with this baby song for girls. Hear and learn the sounds that the chicks, pigs and cows make while they roam the farm. Sing to this nursery rhyme while dancing with the other 3 children in the video. 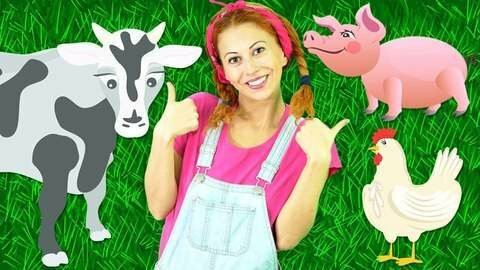 Lots more videos of nursery rhymes are available for you to watch for free at SeeZisKids.com.